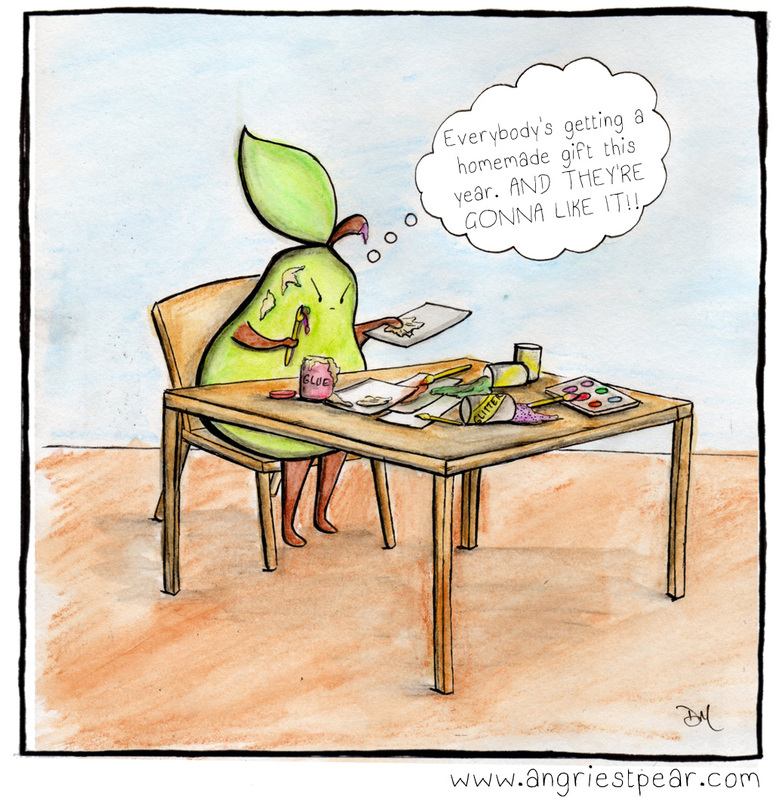 Categories: angry pear | Tags: angry, annoyed, anthropomorphic, christmas, comic, DIY gone wrong, fruit, gifts, handmade, homemade, illustration, Pear, watercolor | Permalink. hahaha. That’s right. Or KAPUNGA!